It can be a confusing term. But it’s an important one to understand, since flu activity and flu-like illnesses are high across much of the country. Understanding the difference between these illnesses and your treatment options is important. WebMD talked with some experts to break down the difference between the two diagnoses and what it means for you. What is the difference between the flu and flu-like illness? “Influenza-like illness," also called “flu-like illness,” is a more wide-ranging category. The CDC says that with flu-like illness, you have a fever of at least 100 F and a cough or sore throat, but the cause of the symptoms isn’t known. How can doctors tell if you have flu or flu-like illness? The flu is diagnosed from a swab test of your nose or throat. Flu-like illness is a clinical diagnosis, meaning it doesn’t involve an official test. A doctor simply decides by examining you. Flu-like illness can be the diagnosis when doctors aren’t sure what virus is at play, since signs and symptoms of bad colds and several other respiratory viruses can be difficult to distinguish from the flu. Michael Ison, MD, a professor of infectious diseases and organ transplantation at Northwestern University in Chicago, says regardless of the cause, treatment is similar. “What influenza-like illness is saying to us is that you have a virus likely affecting your respiratory system that is making you feel crummy and, currently aside from influenza, there aren’t good therapies for these other viruses, so we just treat the symptoms,” he says. An flu-like illness diagnosis can also mean your doctor thinks you have the flu but doesn’t see the point in doing an official flu test. William Schaffner, MD, an infectious disease specialist at Vanderbilt University School of Medicine in Nashville, says tests can also be expensive and unreliable, and many doctors only use them when they aren’t sure of a diagnosis, which is rarely the case during a flu outbreak. How do you treat flu vs. flu-like illness? In late December, the Infectious Diseases Society of America released updated guidelines to help doctors diagnose and treat the flu and flu-like illnesses during outbreaks. The CDC says antiviral drugs can treat confirmed and suspected flu. They can lessen symptoms and shorten the time you are sick by a day or two. The agency says they are most effective when taken within 48 hours of the start of symptoms, although they can still help fight severe flu complications when given after that. Antiviral drugs are not recommended for flu-like illness. Doctors say it’s also important to know that antibiotics won’t help with the flu since they only treat bacterial infections. Drink lots of fluids. 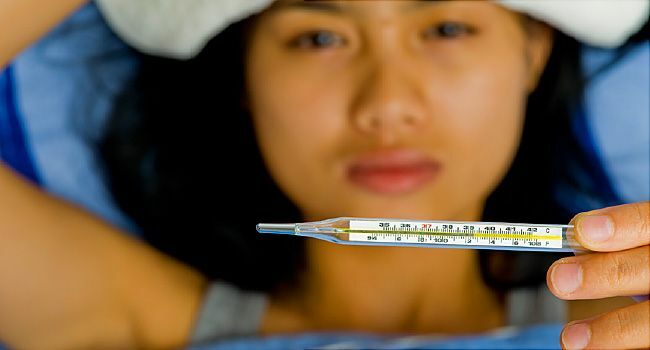 Fever and viral infections can be dehydrating, particularly for younger and older people. “It not only makes you uncomfortable, it can also predispose you to the development of pneumonia,” Schaffner says. Rest and get plenty of sleep. Your body needs downtime to recover. Take over-the-counter cold and flu medicines to treat a variety of symptoms, such as congestion and cough. Tylenol, Advil, or Motrin can help control fever, aches, and pains. Use steam from a hot shower to moisten mucous membranes, open up your sinuses, and promote drainage if you are congested. What should you do if you think you have the flu or a flu-like illness? For otherwise healthy patients, the CDC says you can expect to be sick with the flu for several days to 2 weeks. Flu-like illness is similar. But if you have underlying medical conditions, are pregnant, or have other high-risk conditions, you may be likely to get more serious infections, hospitalization, or even death from flu complications, so experts say don’t try to manage the illness alone. “If you are at high risk … go see your doctor early. If you are a person with an underlying medical condition, a child less than 2, or a person over 65, don’t wait. Go see a doctor early and let them decide if you should be treated with antivirals,” says Campbell, the CDC medical officer. When am I likely to get sick with the flu or flu-like illness? The CDC tracks levels of both the flu and flu-like illness during flu season, which can begin as early as October or November and continue as late as May, but generally peaks between December and February. “We track influenza-like illness across the country, and we know when lab-confirmed flu goes up, (flu-like illness increases. They go together,” Campbell explains. What complications should I look out for? Your fever will go away first, but don’t worry if your cough sticks around for a while. “The coughing can last longer because these viruses can set up an inflammatory response, and it takes longer for bronchial tubes and sinuses to calm down,” says Schaffner, the Vanderbilt University specialist. You should notice a general trend of improvement after a few days. If you don’t, and your fever persists for a couple of days or you have a cough that worsens, call your doctor. Other signs of complications include symptoms that improve and then get worse, more shortness of breath, or a fever that goes away and then comes back. These can be signs of secondary infections, and you should call a doctor right away. How can I best practice prevention? Doctors say the best thing you can do to keep from getting sick is get the flu vaccine at the start of flu season. It may protect you from getting the flu, or it can make your symptoms less severe. The CDC says the flu vaccination also reduces deaths, admissions to the intensive care unit (ICU), how long people stay in the ICU, and the amount of time people spend in a hospital from the flu. If you have a condition like diabetes, lung disease, heart disease, or some other condition that suppresses your immune system, or if you are older, you may also want to avoid crowds if a flu epidemic is sweeping your area. Research shows your exercise and stress reduction habits can help protect you against these types of illnesses. Bruce Barrett, MD, PhD, of the University of Wisconsin School of Medicine and Public Health in Madison, is the principal investigator of two studies, including one published in 2018, that find regular exercise and meditation can help fight off illnesses that are common this time of year. Barrett and his team’s research shows that about 3 hours a week of moderate and sustained exercise can make the illness less severe and shorten how long it lasts. Three hours of meditation each week cut the length of time people were sick. Barrett says it’s a reminder that regular healthy habits have real and lasting effects. “Regular exercise supports a healthy immune system. Both exercise and meditation can help to regulate the stress response, and thereby reduce the negative effects that stress can impose on the body’s immune systems,” Barrett says. Keep it to yourself. “Respiratory infections are very contagious, starting from a day before you get sick to well into your recovery,” Schaffner says. Avoid close contact with people, stay in bed, or separate yourself from your family, roommates, or loved ones so you don’t give it to everyone else. Stay home. Don’t go to work, school, the gym, religious services, or run errands while your symptoms are severe, because you don’t want to spread the germs around. Cover your mouth and nose with a tissue when coughing or sneezing to keep from spreading the virus. Clean your hands. This helps keep germs from spreading. Avoid touching your nose, eyes, and mouth, since germs often spread when you do this after touching something contaminated. Clean and disinfect common surfaces at home, work, and school, especially when someone is sick, to keep germs from spreading. Angela Campbell MD, medical officer, CDC, Atlanta. Michael Ison, MD, Northwestern University, Evanston, IL. William Schaffner, MD, Vanderbilt University School of Medicine, Nashville.